Many millennials dream of buying a home, but are held back by student loan debt. If you're carrying a large student loan debt, it can inflate your DTI (debt to income ratio) and make it hard to qualify for a mortgage. But it's still possible to get a good mortgage rate, even with relatively high student loan debt. Here are 6 ways to qualify for a home loan with student loan debt. The higher your down payment is, the lower the amount you'll need to borrow and the lower your monthly interest payments will be. Getting a smaller mortgage means that your total DTI is lower and might make the difference between qualifying for a mortgage and being rejected. Sometimes, you can scrape together a larger down payment by borrowing from friends or cashing in on savings even while your student loan debt is high. There are 2 ways that you can reduce your DTI to make it easier to qualify for a mortgage. One is to lower the amount that you're paying for your student loan each month. 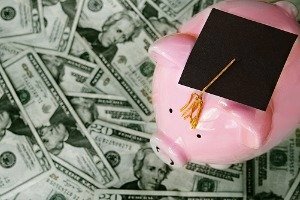 If you have a student loan of $10,000 or more, you can probably consolidate it to get lower monthly payments. 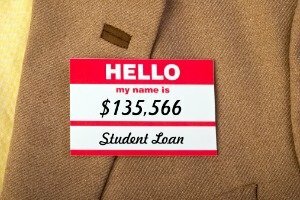 Student loan refinancing lets you use income-based repayments (IBR) which charge you a sliding percentage of your monthly income, for a maximum of 15%. Depending on your interest rates, you might want to aggressively pay off your auto loans or personal loans quickly to make a bigger dent in your DTI. The other option is to increase your earnings so that the amount you’re paying to service your debt is a smaller fraction of your income. Getting an extra job on the side or running a small home business can boost your income and move you to a different level of DTI. Along with your DTI and your down payment, your credit score is the most important element when applying for a mortgage. Most people only discover their credit score when they get rejected for a loan, which drags their credit score further down. By receiving a copy of your credit report from each of the three major credit bureaus, you can check your credit status and act to improve your credit score before applying for a home loan. Having a solid employment history when you apply for a home loan significantly improves your chances of being approved. Even if you’re carrying a high level of student loan debt, if you can show a good employment history you’ll be able to demonstrate that you are responsible and reliable. Lenders will know that you should be able to pay off all of your debt because you have a steady income. You do have to be realistic when you apply for a mortgage and have student loan debt at the same time. Before applying, take a long and honest look at your financial situation. Use spending trackers and budget tools to work out what you can reasonably afford and look for places where you can cut your spending to save more money. It’s important to be sure that you can afford your mortgage payments without stretching yourself too thin. First-time buyers can get help with finding a mortgage by applying for an FHA loan. FHA loans are much easier to qualify for than a conventional mortgage because they are backed by the government. This reassures the lender that if the borrower defaults on payments, they won't lose out on the entire loan amount. An FHA loan demands a lower down payment of at least 3% as long as your credit score is over 580, or 10% if it's below that. FHA loans are also available for borrowers with a DTI of up to 43%. Student loans can be a bummer, but they don’t need to hold you back from home ownership. You took those loans for a better future, and that future can include your own home with some planning and knowledge. For more information on rates and terms visit LendingTree, a leader in the online mortgage marketplace.